This August, I will be traveling to Australia to speak at the Digital Workplace Conference in Sydney! While this is the 8th Digital Workplace Conference (previously known as the SharePoint Conference), it’s my first time attending it and I am really excited to talk about a few awesome topics! 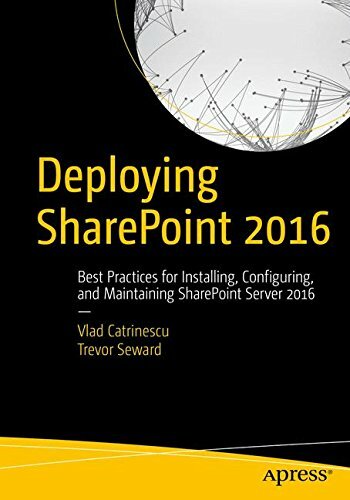 Every time you see a blog post about SharePoint 2016, you see the word hybrid. 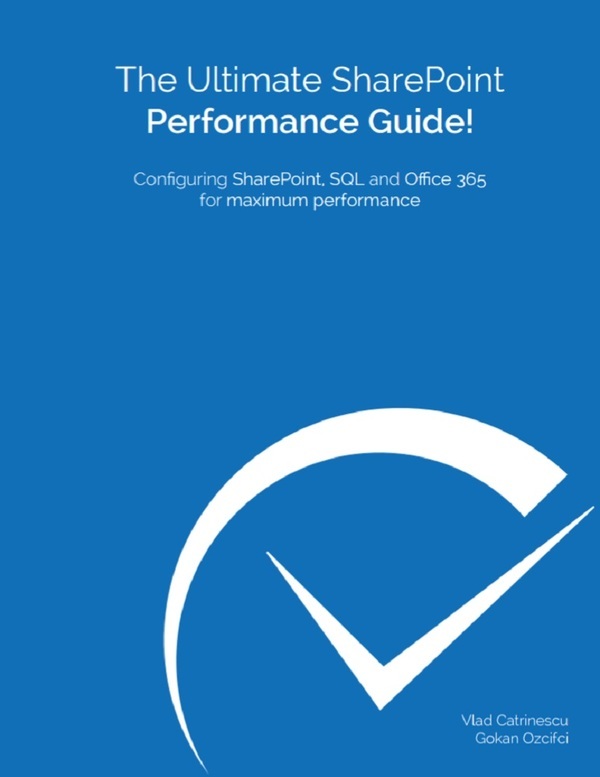 But what exactly is a hybrid infrastructure and what features does the business user get? In this session, we will look at SharePoint Hybrid from a business user point of view to understand what features we get out of it. We will look at Hybrid Team Sites, Hybrid Search, Hybrid Extranet sites and more! 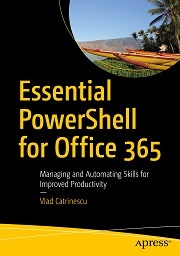 My next session is on something that I love a lot which is PowerShell for Office 365! 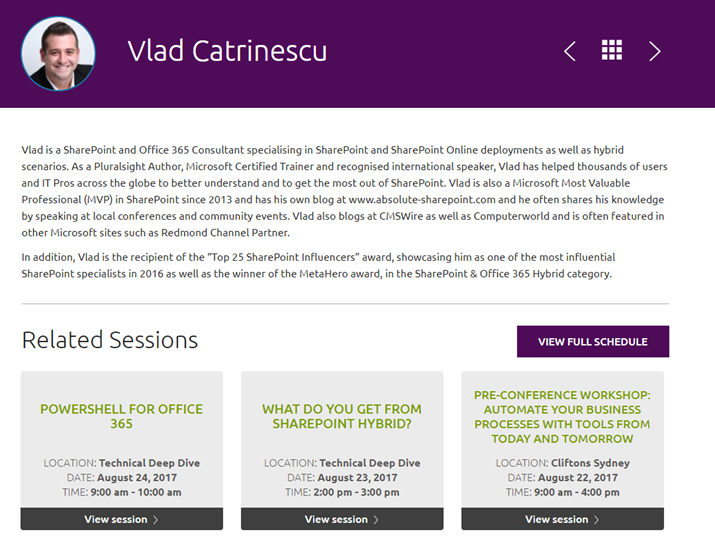 In this session, you will learn how to connect to Office 365 by using PowerShell, and how to manage your users and licenses, SharePoint Online, Exchange Online as well as Office 365 Groups! This session doesn’t have a lot of slides, but it has a lot of fun demos so for sure you won’t be bored! 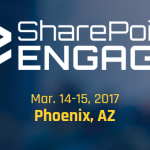 Lastly, I have a Pre-Conference workshop on how to automate your business processes by using SharePoint! The Official Title is Automate your Business Processes with Tools from Today and Tomorrow. 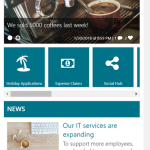 One of the big advantages of implementing SharePoint in the enterprise is process automation. By using Out-of-the-box workflows as well as easy to create custom SharePoint Designer Workflows, Power Users are able to automate processes, avoid repetitive tasks, and boost team productivity. 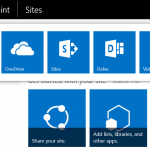 Furthermore, new tools such as Flow and PowerApps (which are exclusive to Office 365 at the moment) allow you to easily create workflows and forms, and integrate SharePoint with other systems. In this full-day workshop, you will learn how to use SharePoint Designer, Flow and PowerApps to automate your business processes in SharePoint On-Premises and SharePoint Online. June 1, 2018 What does an Intranet need to be relevant in the Digital Workplace?